The chef behind E.P. 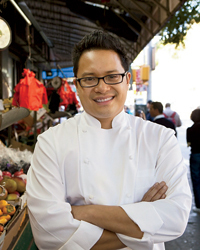 & L.P. in Los Angeles lets us in on the best restaurants in Vietnam's southern city. So when the Australian native took a trip back home earlier this summer, he made sure to make one stop along the way at Ho Chi Minh City in southern Vietnam. 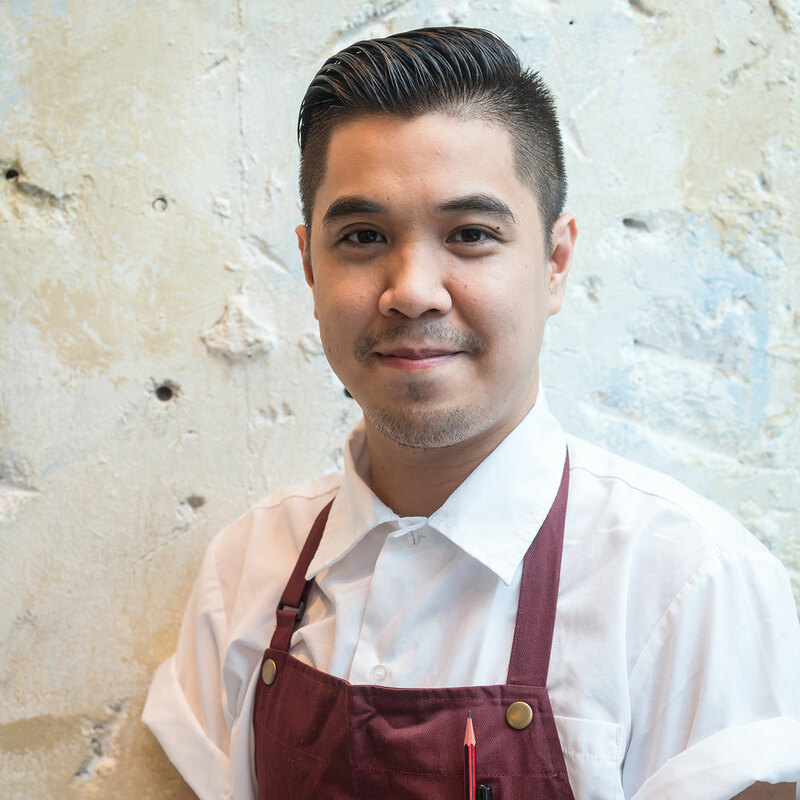 His chef friends in Sydney sent him a long list of places to check out during his four days in the city, and here are the dishes he can’t stop dreaming about today. “This stand that spills out into the streets of District 3 is packed every morning with locals, and they usually sell out around 10:30 a.m.—trust me, I know! I ate breakfast here everyday during my stay, and I ordered a complete breakfast plate with two fried eggs topped with cha lua (pork terrine) with sautéed onion and an iced Vietnamese coffee. 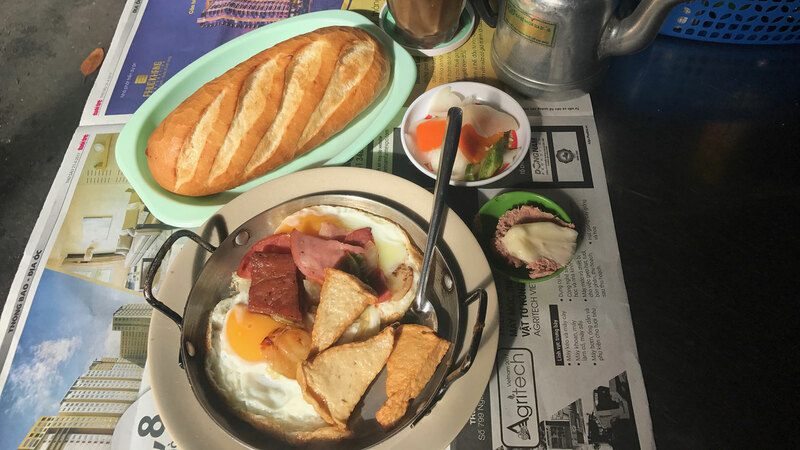 It’s easily the best breakfast I’ve ever eaten in Southeast Asia.” Address: 53 Cao Thắng, Phường 17. “Some people say this small shop in District 1 makes the best pork roll in Vietnam. Does this mean it's the best in the world? Probably! The crunchy fresh baguette is perfectly seasoned and piled with pâté, pickles, mayonnaise, more meat, chile and cilantro. 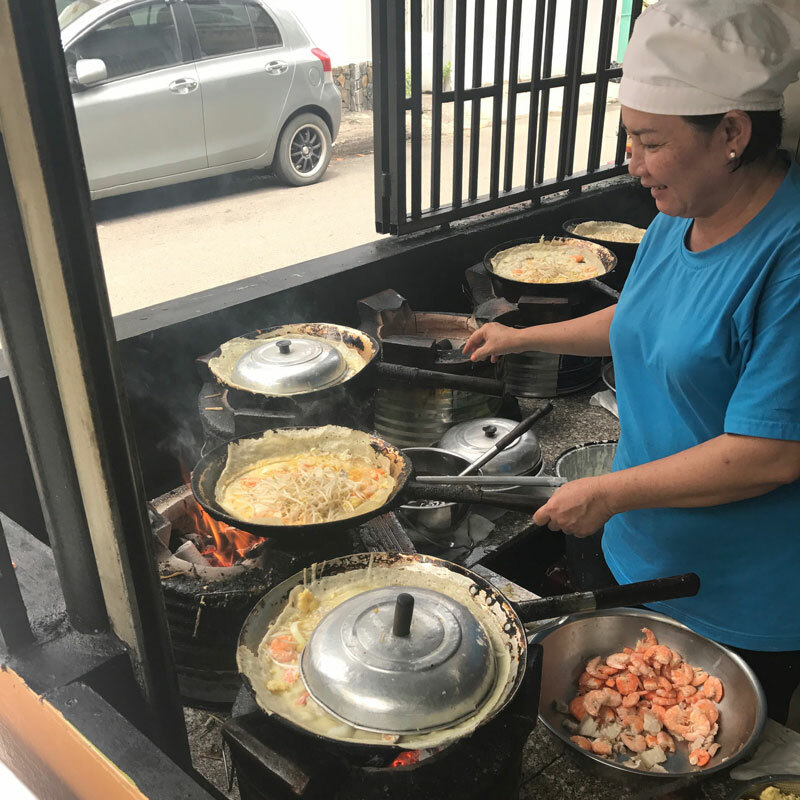 The line can stretch all the way down the road with locals finishing work or having a late night snack, but stop by the restaurant earlier in the day to watch cooks prep for a busy evening.” Address: 26 Lê Thị Riêng, Ben Thanh. “The namesake dish is a crispy rice flour and turmeric crepe filled with pork, shrimp, mung beans and bean sprouts. You eat it with lettuce, herbs and nuoc cham—so simple and delicious. The open kitchen of this District 1 restaurant gives you an inside look at your banh xeo being prepared from start to finish.” Address: 46 Đinh Công Tráng, Tan Dinh. “Bun cha is so delicate and subtle, consisting of fresh vermicelli noodles, charcoal-grilled meat patties, pickles and a sweet fish sauce dressing along with herbs and bean sprouts. 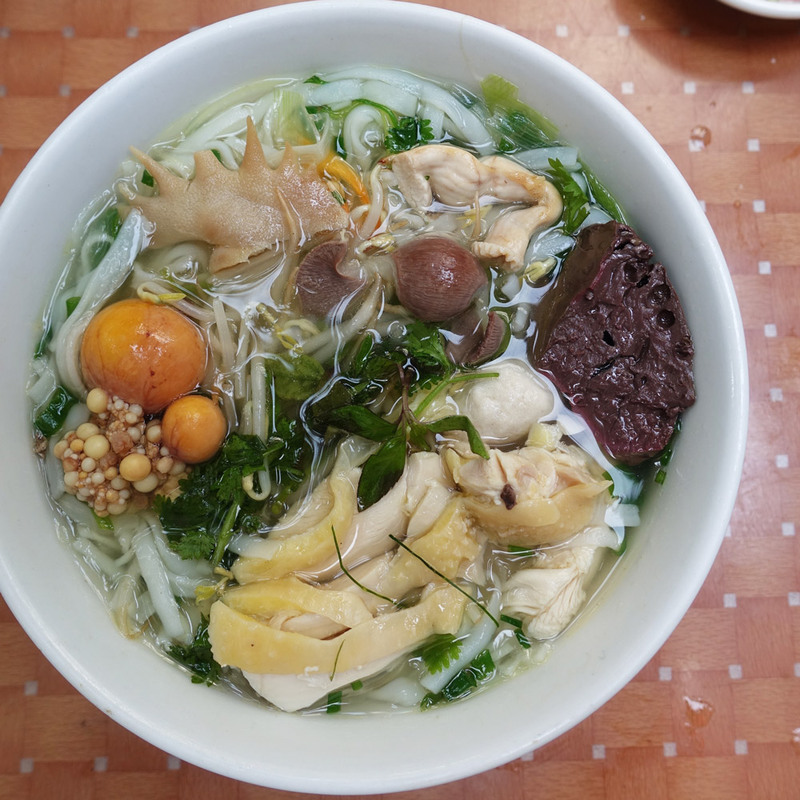 This is one of the few dishes served at this no-frills spot in District 3. Pro tip: Peek at the grill on your way into the restaurant to see the all the meat cooking over the coals.” Address: 140b Lý Chính Thắng. “I didn’t know that grilled whole chicken was a popular dish until I visited Vietnam. This District 10 spot has an amazing chicken that’s marinated, grilled and served with pickled morning glory, stick rice and a range of salts, sauces, spices and sauces to mix and match. Paired with a cold beer, it’s the perfect meal after a long day of sight-seeing.” Address: 7, 152 Thành Thái, 14. “My favorite style of eating is by rolling your own rice paper rolls, At this DIY place in the Phu Nhuan District, order the set of grilled, fried and boiled meats and seafood with dipping sauces and wild herbs. Just tuck them inside the rice paper and indulge.” Address: 74, Truong Quoc Dung St., Ward 10.